Employees crave coaching and guidance, but your organization is likely not providing it. Coaching, mentoring, leading. All of these concepts are good at face value. Companies want their managers to be leaders and guide employees to do better and reach higher performance levels. Too often, though, these concepts become human resource buzzwords few people take action on. Employees crave coaching and guidance, but you’re likely not providing it — even if you think you have a strong leadership program in place. Here’s what it really means to be a coach and how coaching benefits your staff. Multiple surveys have found that employees aren’t getting the coaching and support they need. Managers and senior leadership tend to be so focused on the next deadline, project or client that they don’t stop and focus on the people executing their plans. 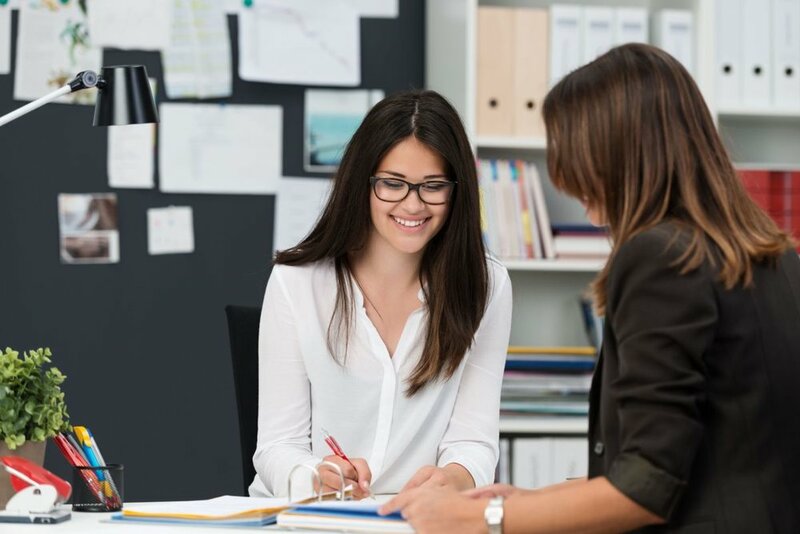 A recent SHRM and Globoforce Employee Recognition Survey found that 21 percent of human resource professionals said coaching was directly tied to employee performance and 45 percent said it was very important at their company. However, they also reported that 93 percent of managers need training in order to effectively coach employees. How can coaching be an essential feature to employee performance if leaders can’t provide it effectively? Similarly, in an article for Achievers, Kellie Wong shared some insights into how employees feel about coaching. Only 17 percent of millennials say they receive meaningful feedback on a regular basis from managers. On the other hand, a full 62 percent have considered leaving their jobs due to the lack of learning and development opportunities. They don’t offer coaching on a regular basis. They don’t have the right tools or know-how to coach their team. They don’t set expectations for growth or follow-up. They don’t coach to actually help their employees, but only to check off an HR standard. You may think that you are offering coaching to your employees; but if it isn’t meaningful or valuable, then those team members will leave to find somewhere they can grow. If teams are going to execute their coaching programs effectively, they have to think about what it means to be a coach. Bosses, employees and HR managers agree: Coaching is valuable. However, if teams are going to execute their coaching programs effectively, they have to think about what it means to be a coach. Leadership experts Julia Milner and Trenton Milner recently conducted a study of managers to see what their coaching styles looked like. Participants who both received and observed the coaching were asked to rate how the coach did. Most people are used to being coached in a way where they are told what to do and given the solution. They’re not used to being guided through problems and new concepts. It’s time for companies to rethink how they coach their team members, and evaluate whether leaders are empowering employees by improving their knowledge, skills and abilities. The first step to improving how leaders coach is to focus on the employees. Your staff won’t be open to coaching if they don’t feel safe or trust their managers. Jeffrey Pruitt, CEO of business design and innovation company Tallwave, calls this freedom to admit mistakes and address management “psychological safety.” It’s the idea that you will have the full support of your team if you make a mistake or take a risk. The people around you have faith in your ideas (or will tell you otherwise) and want to see you succeed. Psychological safety is the antithesis of working in a toxic work environment where your coworkers are waiting for you to fail and your boss demands perfection. And it’s one reason why organizational psychologist and executive coach Tracy Cocivera says companies need to invest in coaching not just for their executives, but for their employees as well. “The presence of coaching, and the acceptance that we all need a hand from time to time, builds stronger teams, and stronger teams build stronger organizations,” she writes. Peer coaching helps team members solve problems and build confidence in the work they are doing. If you want your staff to grow, you will start with you workplace culture and make sure your team knows that they are in a safe learning environment. You need to set aside time o be a good mentor or coach. One of the main problems with coaching is that employers don’t set aside dedicated time to work with their employees. They coach them once a quarter without much follow-up or start a coaching program and then drop it when work gets hectic. Good coaches take time to provide clear feedback on a regular basis, says William Craig, president of web marketing solutions provider, WebpageFX. This feedback goes beyond giving an employee praise when a project goes well and reviewing what went wrong when it fails. Valuable feedback is offered frequently and allows employees to see that their managers notice them. When you make yourself available for feedback, your employees know that you are looking out for them and are invested in their work, and they will want to rise up to prove themselves to you. Hawley Kane, head of leadership development at Saba Software, encourages leaders to schedule weekly one-on-one meetings with team members. These informal meetings allow employees to discuss problems they are having with projects and coworkers and give managers space to guide them. It’s a time for reviewing past work and planning ahead. Even if these meetings are only 15 minutes long, they allow managers to show employees that they are valued and their engagement is important to the company. When it comes to goal setting in coaching, employee goals matter the most, business consultant Milo Sindell and Thuy Sindell, organizational psychologist, explain. This is the main difference between a boss and a coach. A manager focuses on the goals of the organization, while a coach focuses on the personal and professional goals of the people they work with. Unfortunately, it’s not always easy to align career goals and corporate goals, which is why managers often take off their coaching hats — or never put them on in the first place. If coaching is really about building up employees — in terms of their skill sets and mental strengths — then good leaders will also encourage their teams to form peer coaching groups. Naturally, there are other benefits to peer coaching that extend beyond productivity and team performance. One is it can make employees feel less lonely, according to Stewart D. Friedman, Ph.D., author of “Total Leadership” who recently co-wrote an article on peer coaching at HBR with graduate student Norian Caporale-Berkowitz. Coaching sessions and group meetings allow people to form a “network of allies” or workplace support group that can help get them through stressful times. Employees are able to see their problems in a new light and step in to help out peers when needed. This improves the mental health of your team members and increases their longevity within the company. In your efforts to develop a coaching program, you will inevitably hit roadblocks. For instance, not all employees will be excited to be coached, and some might be openly hostile to the idea. Professional coach Jennise Beverly says some employees refuse coaching because they don’t trust their employer. They either think their manager will give up after a few tries or only wants to coach them to help the company’s bottom line. They also might be checked in terms of how their role affects the company and will be unwilling to grow if they feel unimportant to the big picture. They don’t care about their own growth or skill sets. They are not open to looking at situations differently. They are not willing to try new behaviors, ways of thinking, or project strategies. They are unable to stick with new behaviors that they do adopt. These employees may have agreed to coaching because they felt pressured into it or want to protect their jobs, but have no interest in making progress. You can either look for external coaching resources to help them or give them space until they are ready to grow. Coaching isn’t easy. It takes time to learn how to be a good coach and mentor to your team. However, those leaders who become effective coaches will cultivate employees who are loyal, committed to growth and excited to learn.